Anna Gray & Ryan Wilson Paulsen A Limited Anthology, 2010. Some artists have asked: what if we thought of writing as something more than technical and more than a means of communication? 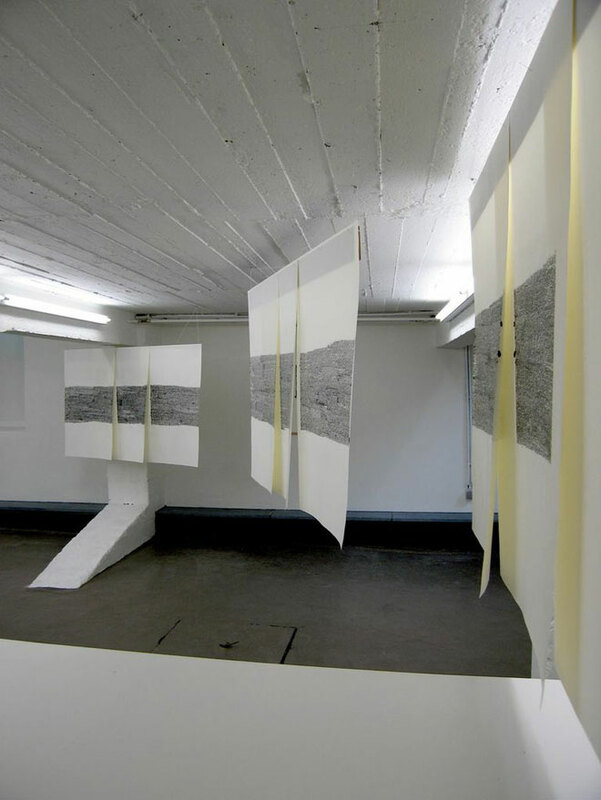 Toon Van Borm’s work uses the art of handwriting to shift the focus from writing as something that can be communicated, understood and consumed, toward writing as form. 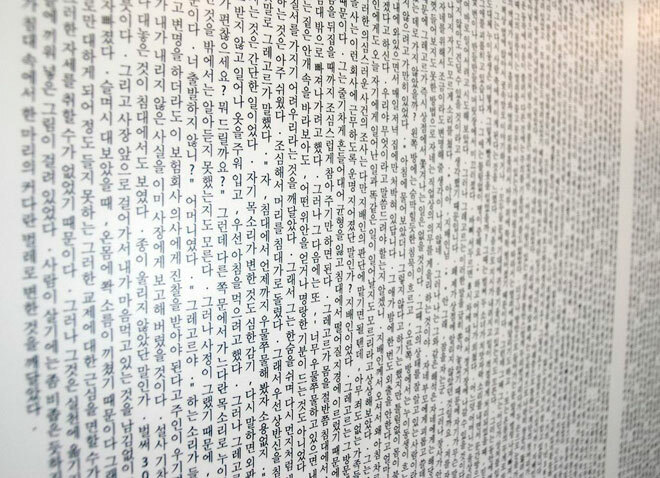 Other ways that artists have disrupted the trust we have with language is by using texts in unusual ways, rendering them unfamiliar through displacement. 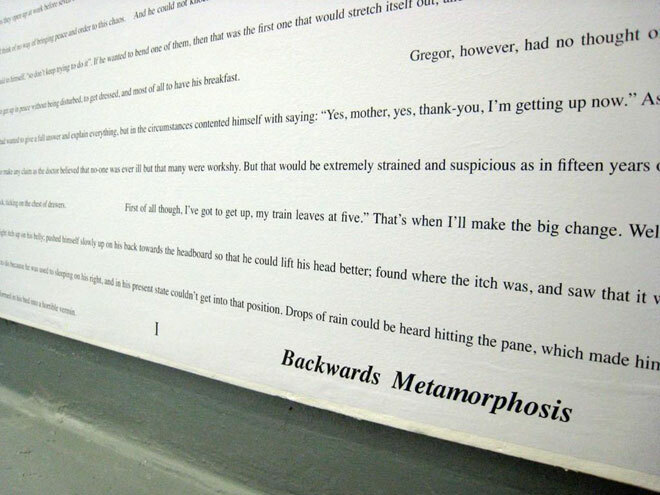 For example, Yoon Hyung-Min’s 2008 piece Backwards Metamorphosis uses Kafka’s famous novella Metamorphosis, sentence by sentence, and reverses the writing onto the wall of the gallery. 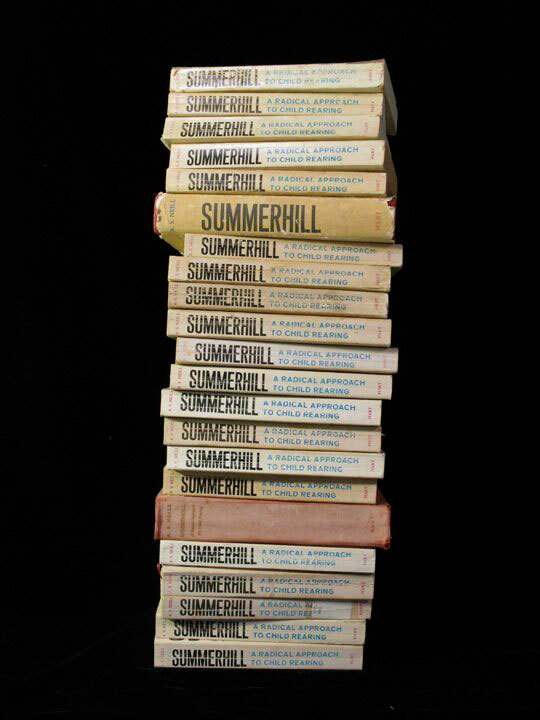 Artists Hannah Jickling and Helen Reed play with a body of text in their 2010-2011 project Summerhill, Revised which was a collaboration with 26 pre-service teachers. These interventions on the text challenge traditional modes of revision and allow more room for interpration. 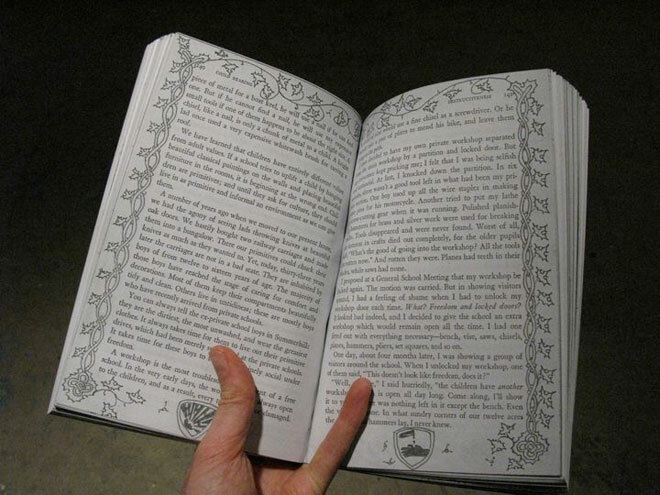 In Art Criticism and Other Short Stories (2013), Helen Reed explores notions of fan fiction about artworks by artists, examining what “too close” readings can offer to art writing. Another form of writing that has caught the attention of artists is the writing that is left behind or is labelled as secondary to a primary text. 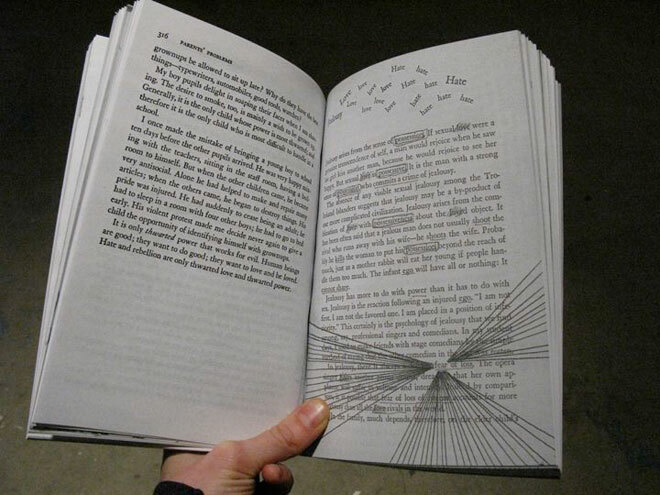 For example, Kyla Mallett’s 2005 piece Marginalia examines the scribbles and comments that are written on the margins of books collected from the Vancouver Library. 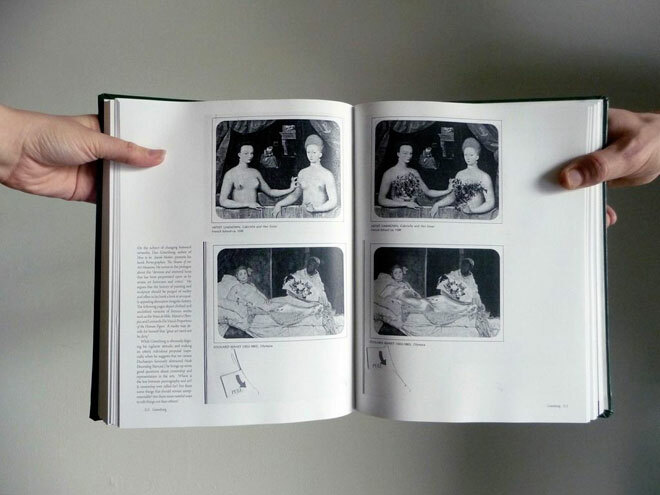 By taking blown-up pictures of the “damaged” pages and installing them on the walls and windows of the very library that hosts the books, Mallett brings the library’s archive inside our while simultaneously commenting on the system of communication that happens between and is documented by the reader and the author. Similarly, Anna Gray and Ryan Wilson Paulsen explore the process of editing by presenting it in a textual form. 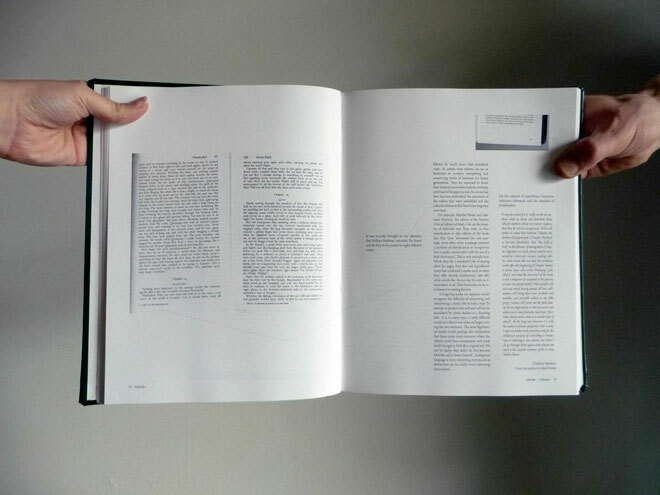 In their 2010 publication A Limited Anthology of Edits, they bring together a variety of texts and materials around the intersections of art and editing, bringing into focus the labor of editing that is often erased in a book’s final formation. Artist Residencies: Challenging notions of "getting away from it all"